When Patricia Arquette, J.K. Simmons, Julianne Moore, and probably Eddie Redmayne ascend the Oscar dais to collect their respective awards for Best Supporting Actress, Supporting Actor, Actress, and Actor, you may feel a strong sense of déjà vu. That’s because this exact quartet all won SAG awards for acting. (They also all won Golden Globe awards for acting, as well as many pre-Oscar critics’ awards.) At this point, Arquette, Simmons, and Moore are stone-locks to win; Redmayne could possibly lose to Michael Keaton, though that’s looking increasingly unlikely. And that, ladies and gentlemen, is the only meager kernel of suspense these four categories have to offer you this year. The SAG awards alone have become such an accurate predictor of the Oscars that, over the past five years, 18 of 20 SAG winners have gone on to win their Oscar category. (The exceptions: In 2013, Christoph Waltz won Best Supporting Actor over SAG winner Tommy Lee Jones; in 2012, Meryl Streep won Best Actress over Viola Davis.) This is a huge problem for the Oscars, and a pretty big turn-off for Oscar viewers. The acting categories make up four of the Big Six Oscar categories (along with Best Picture and Best Director), so unless you’re a big fan of death montages or weirdly anachronistic musical numbers, the main reason to tune in to the Oscars is to find out who wins. With acting, we already know 90 percent of the time. So, having already definitively and brilliantly fixed everything that’s wrong with the Best Picture category, let’s turn our attention to the acting categories. It’s ridiculous that every year, the best we viewers can hope for, drama-wise, is that one out of four races might come down to one of two nominees. (Last year: Nyong’o versus Lawrence; this year: Redmayne versus Keaton.) The acting-category conundrum is a tricky one to solve, however, since the increasingly long gauntlet of pre-Oscar awards shows has effectively drained these particular categories of all suspense. The primary problem is that the people who vote for Guild awards like SAG are the exact same people who vote for the Oscar nominees, and are also largely the exact same people who vote for the Oscars. (The difference being that while only SAG-member actors can vote for the SAG awards, all Academy members can vote for Oscar winners but not Oscar nominees.) So having guild awards in advance of the Oscars is like staging an exit poll before an election, then tallying every single person’s vote before the actual election is held. You’re not going to hit it 100 percent of the time, but you’re going to come depressingly close. This wasn’t always the case: The SAG awards, for example, are only 20 years old. So it’s not that hard for some of us to recall a time when the ripping of the envelope preceded something like actual surprise. Sadly, that’s no longer the case, and the Oscars need to fix this. And in order to fix this, they need to do something radical: abolish nominations. Then, on Oscar night, read out the top-five vote-getters in each acting category in ascending order over the course of the evening — culminating, finally, with the winner. After all, the revealing of the five nominees in each acting category is the only moment in this whole damned process that retains any drama. Will Jennifer Aniston get a nomination? 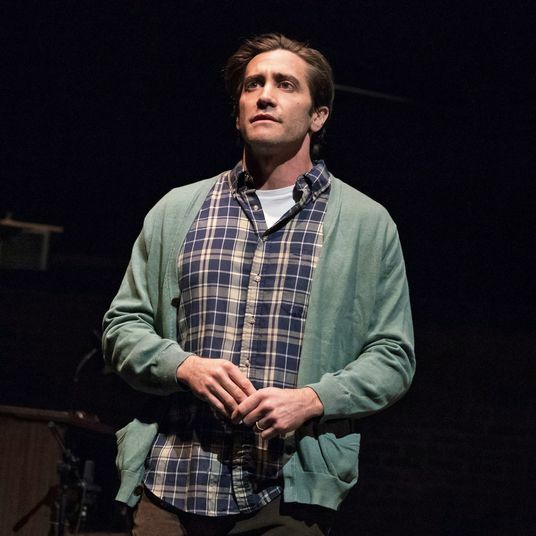 What about Jake Gyllenhaal? Who will get chosen? Who will get snubbed? The nominations still provide actual suspense — which is precisely why the Oscars need to get rid of them. Or, rather, co-opt them and move them to Oscar night itself. Because once the five nominees are set, weeks in advance of the ceremony, you’re basically left with Julianne Moore and Four People Who Will Lose to Julianne Moore. This dread certainty only solidifies over time, as each pre-Oscar award is handed out. Now instead, imagine this: Over the course of the night, rather than just reading out the winner in each acting category, presenters come to the podium, open an envelope, and say, “For Best Supporting Actor, in fifth place: Edward Norton, for Birdman.” Rather than spending a whole night waiting to lose to J.K. Simmons, Norton would actually be surprised, and probably pleased, and maybe a little pissed he came in fifth and not first (or third). In any case: Surprise! Suspense! Real human emotion! In response, the hall would cheer. People who had Norton placing third in their Oscar pool would groan. The rest of the hopefuls would shift in their seats and wonder if they’ll squeeze into the top four. And instead of showcasing one winner and four losers, as the current system does, the Oscars would showcase five winners — even if the top prize still inevitably ends up going to Simmons. I know what you’re thinking: Sounds great, even brilliant — but how in the world would actors know to come to the Oscars if they don’t even know if they’re nominated? To which I say: That’s not a problem — that’s part of the fun! 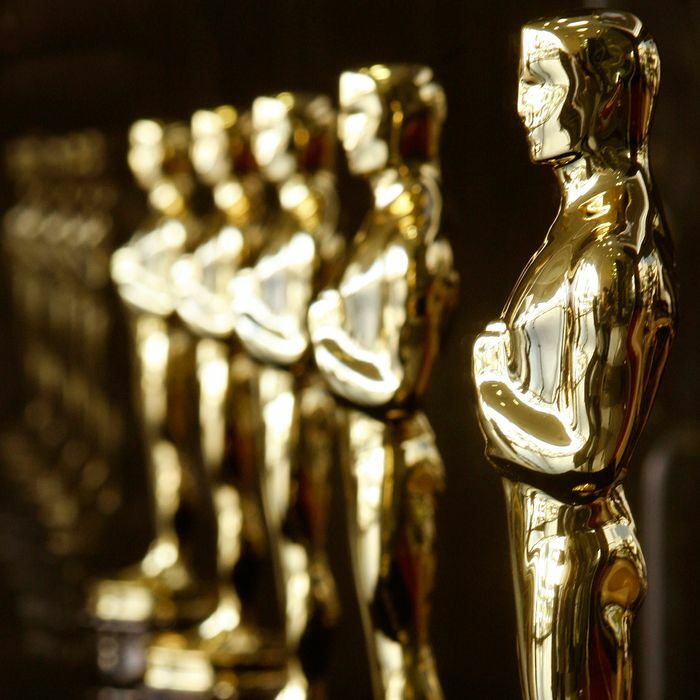 Rather than simply have five nominees we’ve known about for weeks shows up dressed in designer clothes and grim masks of preemptive disappointment, the Oscars would invite the primary casts of each of the year’s prominent movies (many of whom would already be attending in any case, given their films are typically nominated for Best Picture). Allow a certain number of flex invitations for hopefuls from otherwise-undercelebrated films, like Steve Carell in Foxcatcher or Jennifer Aniston in Cake. Let studios (or stars) bid for open tickets — after all, it’s perfect promotion for your film. Stud the entire audience with sure things, probable options, and long shots. The reaction shots of hopeful faces — whether celebrated or stymied — would be worth the logistical problems alone. And the idea of celebrating five actors rather than coronating one should appeal to those actors who adhere to the oft-touted notion that performances shouldn’t even be in competition with each other. Sure, some actors might boycott the whole process, but then that’s kind of fun, too. Someone shows but misses out. Someone stays home — and nabs a spot. If the revealing of the acting nominees is the only part that retains any drama, imagine how much more dramatic it would be if all the actors were actually in the room, dressed to the nines, and reacting in real time? And, frankly, the same argument that favors more Best Picture nominees, even for movies with little hope of winning — because it brings attention to overlooked films! — is doubly applicable to this nomination-abolishing plan. If Jenny Slate shows up on Oscar night hoping for a long-shot Best Actress nominee, that’s at the very least several minutes of valuable airtime for her — and commentators — to jaw about her performance. Are you really hoping your favorite performer gets an Oscar nod? Contribute to a Kickstarter to buy her one of the few available tickets! In the current system, five names are read in the morning’s early hours, a few tweets go out, a blog post or two gets written, and that’s it — the long shots are never spoken of in an Oscar context again. This way, the overlooked underdogs of Oscar season get to walk the red carpet and make their case firsthand. There are certainly other potential fixes for the acting-category conundrum — the Academy could ban its voting members from voting for other pre-Oscar awards, for example — but all of those are either draconian, boring, or both. By contrast, the Oscars can easily and unilaterally announce it will no longer nominate actors and will instead announce top top-five finishers on Oscar night itself. It’s a minimum-fuss, maximum-drama solution. And as a viewer at home, bored to death by predictable winners, you suddenly have a new reason to start watching, and keep watching, right until the final name is called.